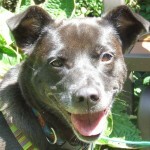 Sasha is a lab-terrier mix who was rescued from a hoarding situation after having at least one litter of puppies. She is loving, affectionate, and eager to please. 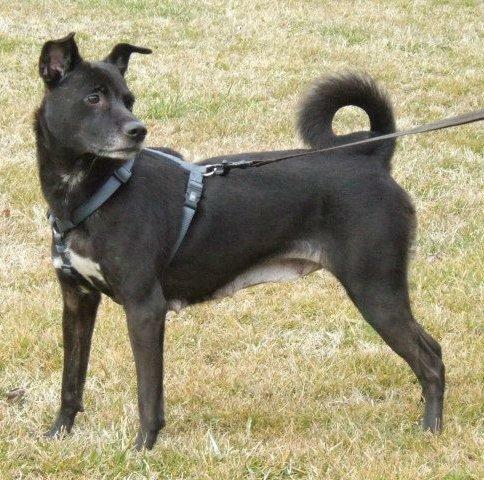 Sasha is really smart and knows lots of commands. Her sit-stay is iron-clad and very impressive! Sasha is house trained, extremely playful, and very sweet. She is quick to roll over for a belly rub and she loves to play with just about any toy. Even though Sasha lived with a number of dogs, she is not always sure how to play with new dogs. 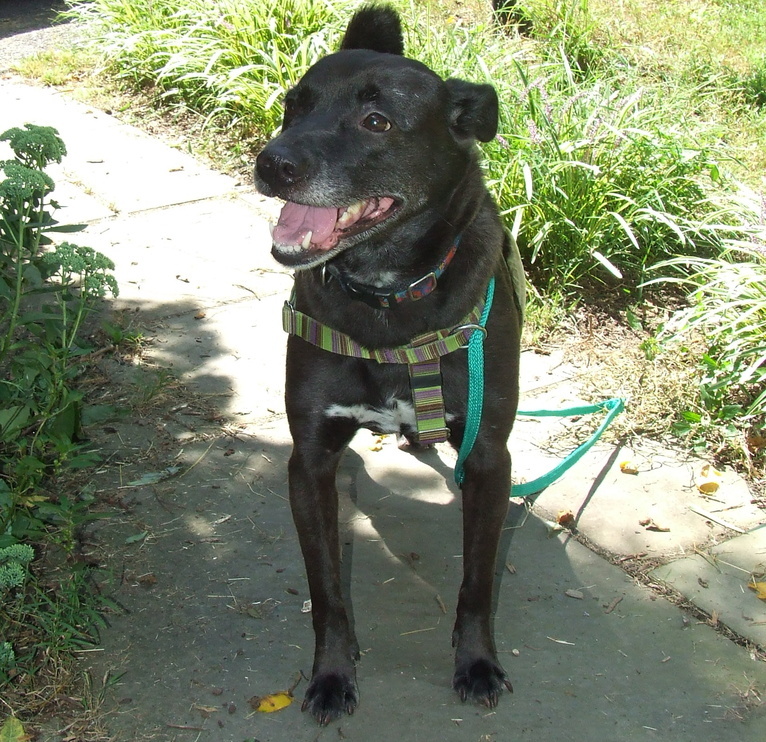 She needs more socialization and leash training, but she is basically a friendly, alert, active dog. 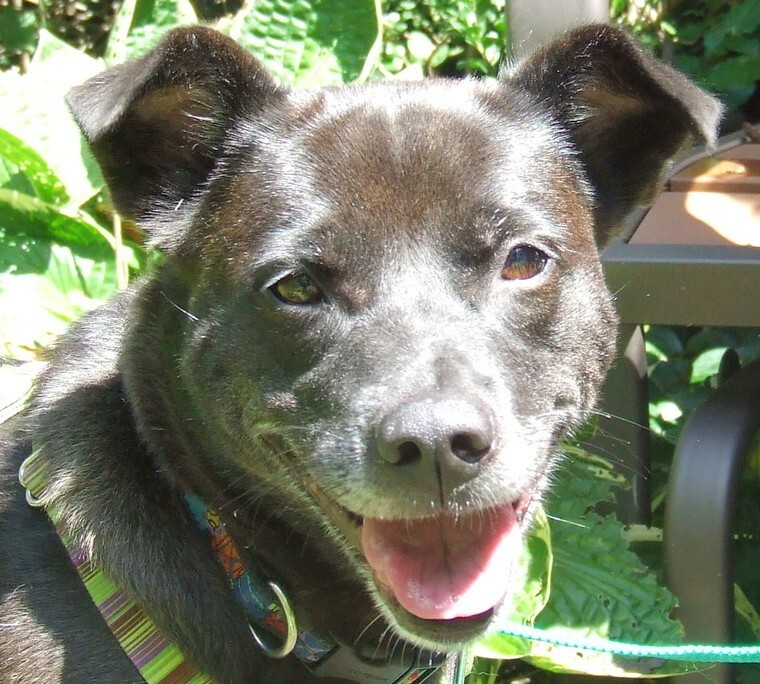 Sasha is a perfect lady indoors, crates well and is a first-rate cuddler. She would benefit from a secure fenced yard. Sasha was recently on T.V.! If you are interested in Sasha, consider letting us know by filling out a (no obligation) adoption application (https://docs.google.com/forms/d/1zIHnSOJGQ2YUNoQttR6HM3jXoQbBlvQ8llR36sZacPg/viewform), and we will arrange a private meeting for you with Sasha. Sasha is unlikely to attend any adoption shows.